Hass Avocado is the new goldmine for modern farmers. Ever thought why county governments are insisting on Hass-Avocado farming? 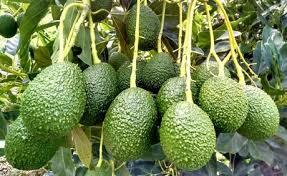 Most of you must by now know that many county governments are encouraging farmers to plant avocados. This is so because hass-avocado does not require much labor and time to maintain. In addition, demand for avocado is extremely high and we just can’t satisfy the current local demand and in European countries. Before the market was regulated, farmers used to sell a fruit for as low as Sh1. Now they sell one for Sh8. Hass-avocado exporters sell the fruit for as high as KSh 30. Just last year farmers in Murang’a county earned Sh500 million from hass-avocados according to Governor Mwangi Wa-Iria. Hass avocado investment is bigger than coffee. One properly watered tree of hass avocado can give you 1,000 fruits a year, which comes to Sh8,000. Which are the Suitable Counties that Hass-Avocado Be Planted in Kenya? Kenya is one of the few countries that enjoys equatorial climate. Most counties in Kenya receive a minimum of two rainy season. Avocados are highly adapted to different rainfall conditions; however, the rain should be an average of 1,000–1,600mm per annum and well-distributed throughout the year. Irrigation is essential where rainfall is not adequate. Although an avocado tree cannot tolerate wet soil, it needs at least 25mm of water every week during periods of insufficient rainfall such as in eastern Kenya. Too much rain during flowering leads to shedding of flowers resulting in significant reduction in production. Fungal diseases also normally become problematic in very wet weather. A short period of dry weather of up to two months usually triggers flowering especially in tropical climates not subject to marked falls in temperature. The avocado tree needs high relative humidity at flowering (70-80 per cent), then moderate levels during the fruit swelling stage. Too much humidity encourages the proliferation of pests and diseases such as thrips, scales, cercospora spot, scab and anthracnose. Counties in central Kenya, Eastern, Central rift valley, Lower Nyanza and all western Kenya counties have the best climatic conditions for hass-Avocado cultivation. In Eastern Kenya, avocadoes do well in certain pockets such as Kang’undo, Mua Hills, Kathiani (Iveti hills), parts of Mbooni, all in Machakos County, and the high potential areas of the larger Embu and Meru counties.